We've already had a brief sneak peak of Zach Snyder's hugely anticipated Batman v Superman: Dawn of Justice, and now there are some set photos to go along with it. The new issue of Entertainment Weekly gives us a huge batch of photos from the film, including stills from the movie and some behind-the-scenes photos. We get to see Henry Cavill's Superman and the newly single Ben Affleck's Batman/Bruce Wayne, along with Gal Gadot as Diana Prince/Wonder Woman and Jesse Eisenberg as Lex Luthor. Check out the images from Entertainment Weekly below. 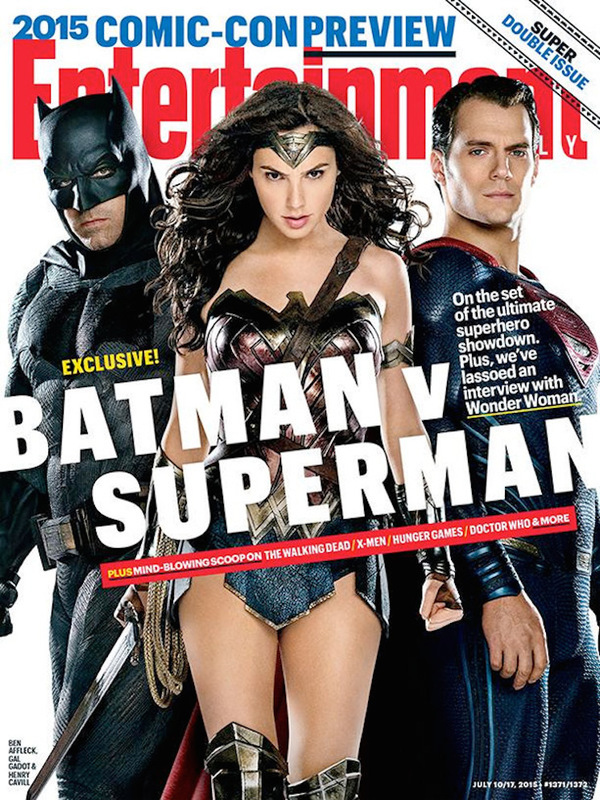 Batman v Superman: Dawn of Justice opens on March 25, 2016.